Should make you Brony’s feel a little less like the pervs you are. It’s actually from a new series of toys and animations from Bigshot Toyworks to promote their new Friendship is Maddness line. 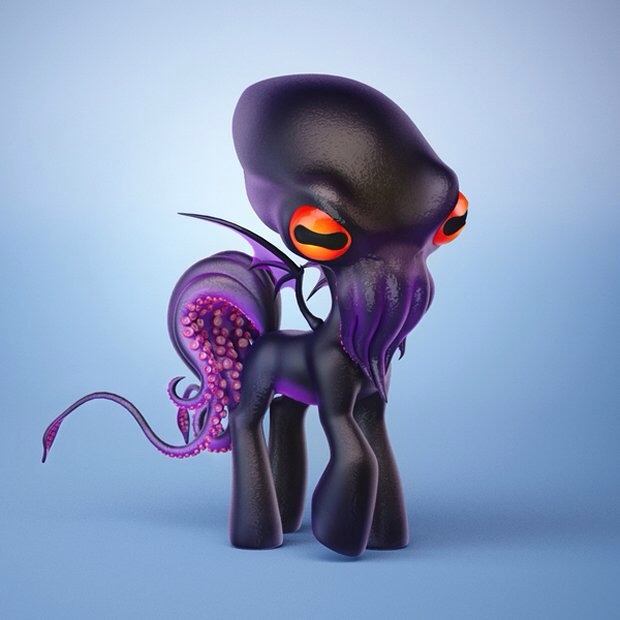 Posted on January 13, 2014, in Bizarre, Uncategorized and tagged bigshot toyworks, Bizarre, brony, cthulhu, friendship is maddness, my little pony, Nerdgasm. Bookmark the permalink. 2 Comments. So need this Cthulhu toy.